baked at a high temperature so it’s caramelized on the outside and creamy inside. 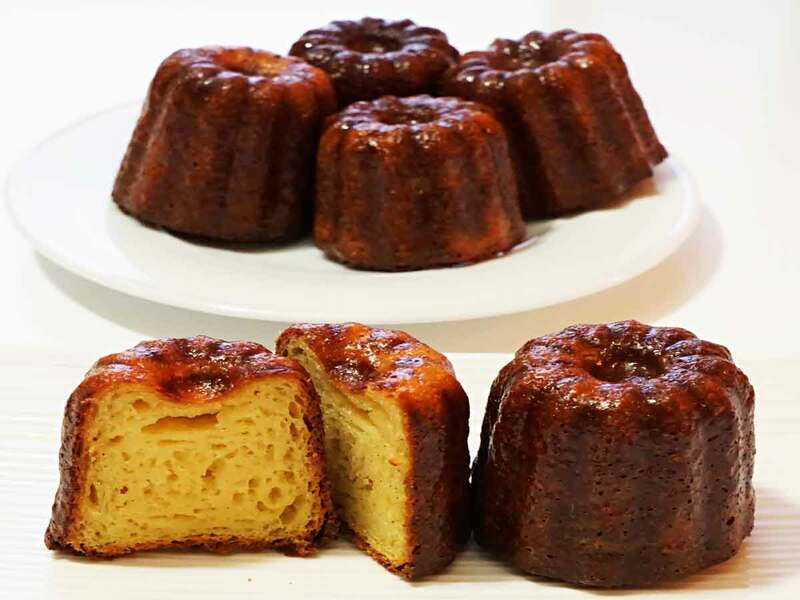 Cannelés were born in Bordeaux, France. They’re baked in the little copper molds. 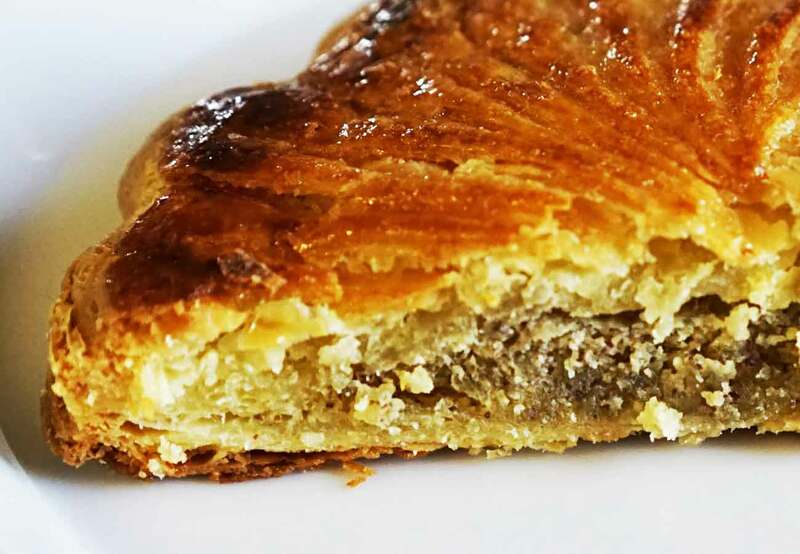 with the creamy, custardy, and sweetly addictive interior. the frozen mold with melted butter is good enough. 3) Make the batter 2 days before you plan to bake the cannelés. the inside of the pod. Cut the pods into small pieces. 2) Measure and then sift together the flour, sugar and salt. into the eggs at all. 4) Place the milk, butter, and vanilla over medium heat and bring to a boil. mixture, and stir until well combined. 6) Mix all the ingredients an immersion blender or using a regular blender. until you get a totally lump-free batter. 9) Add the rum and stir until combined. By now you should have a very thin batter. once after 24 hours and put it back in the fridge to continue to rest. use the high heat canola spray oil instead of the butter – works perfectly. get to the right temperature. 4) Remove the resting batter from the fridge, and stir it again. top. I use 1/4 measurement cup to fill up the (2 inch / 5 cm) mold, it works perfectly. 7) Arrange the molds at about equal intervals over baking sheet. down to 450°F / 232 °C. door to turn the baking sheet once. 6 canelés at a time than 12 Canelés batch, unless your oven is better than mine. around the top of the cannelés. You don’t need to worry about it, It’ll be fine. chocolate, salted caramel buttercream, and praline creme au beurre,and more. Add the butter, egg, orange blossom water or vanilla , and flour and process until smooth. 2) Wrap in plastic wrap and shape into a 6-inch round. 3) Freeze until firm, at least 30 minutes. 7 inch rounds from the dough with a very sharp paring knife. 2) I used a pancake mold as a guide to cut two 7 inch rounds from the dough. 1) In a small bowl, whisk together the egg yolk and water. 2) This is the egg wash.
1) Mix the water and sugar together and bring to a boil. 2) This step should be done while the Pithivier is in the oven. 3) This is the sugar syrup. 1) Preheat the oven to 375 degrees. Remove dough from freezer. 2) Place frozen frangipane round in the center of the bottom dough circle. the sides, which would inhibit proper puffing during baking. 4) Place the second round on top, and press to seal, using your fingers. 6) Transfer Pithiviers to a baking sheet sprayed well with water and chill for at least 1 hour. 7) Remove Pithiviers from the freezer. 8) Brush top with egg wash, not to let any excess drip down over cut edge of dough. 9) Bake for 40 minutes in your pre-heated oven at 350°F in convection mode. 10) If you don‘t have a convection oven, bake at 390°F for 40-50 minutes. 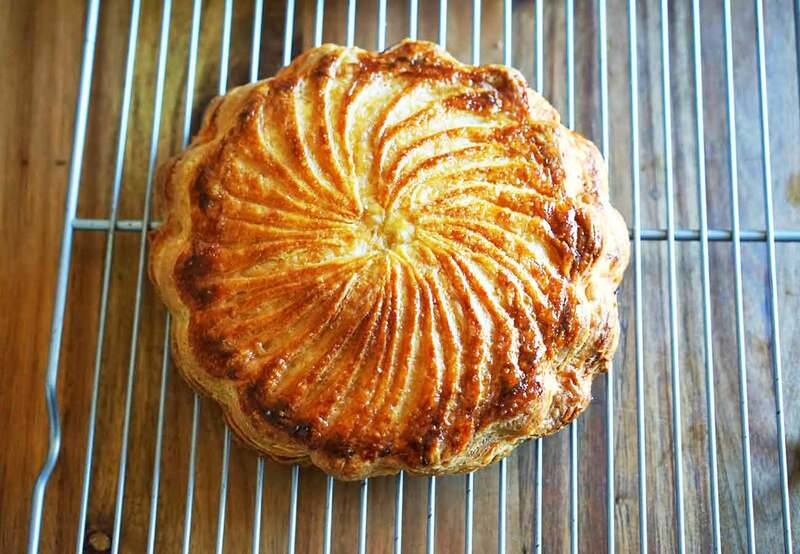 12) Transfer Pithiviers to a wire rack, and let cool at least 20 minutes before serving. 13) If you want to keep this cake for longer, wrap it in plastic wrap and store in the freezer.